A photo of Hillary Clinton looking at a newspaper report about US Vice President Mike Pence’s use of a personal email account while in office has got the internet LOLing over the irony of the situation and has been shared thousands of times. 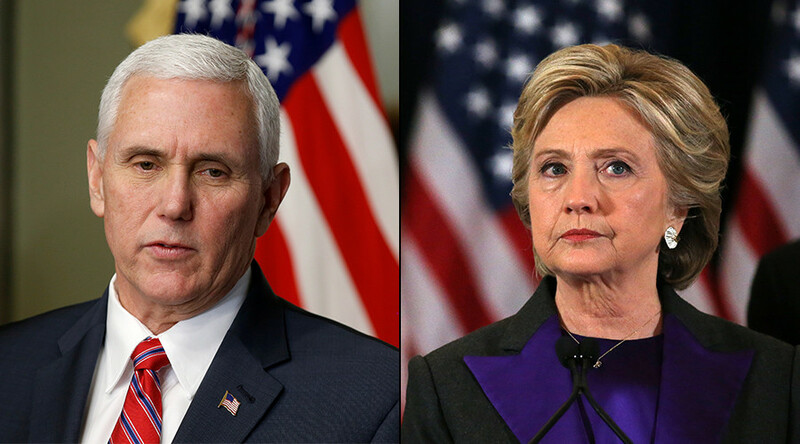 Yesterday, the vice president said there is “no comparison whatsoever” between his use of a private email account while he was the governor of Indiana, and Clinton’s very public email scandal from her time as US secretary of state – both of which involved hacking. GOP: Hillary Clinton's use of a private email is a criminal act and she should be in prison! However, the irony that Pence once called Hillary Clinton “the most dishonest candidate for president of the United States since Richard Nixon” over efforts to conceal her use of a personal email account and server, has not been lost on the internet. “And with regard to classified information she [Clinton] either knew or should have known that she was placing classified information in a way that exposed it to being hacked and being made available in the public domain even to enemies of this country,” Pence said at the time. On Thursday, it was revealed that Pence “routinely” used a personal AOL email account to conduct state business during his time as Indiana governor, and it was reportedly hacked last summer. Emails obtained by The Indianapolis Star, following a public records request, reportedly showed Pence used the account to communicate with top advisers – at times on sensitive topics and homeland security issues. “In one email, Pence’s top state homeland security adviser relayed an update from the FBI regarding the arrests of several men on federal terror-related charges,” wrote the Indy Star. The AOL account was allegedly compromised in June last year, when a hacker sent emails to his contacts claiming that Pence and his wife were stranded in the Philippines and needed money. Pence, in response, sent an email to people targeted by the scam, apologizing for any inconvenience, and set up a new AOL account, the report said.